Playout refers to the transmission of TV channels in a suitable delivery format and, along with every other aspect of the industry’s technical infrastructure, it is being inexorably divorced from specialised hardware to run on commodity IT machines. The area is drawing particular focus as vendors press chief technology officers at broadcasters and multi-channel video distribution facilities to make the switch to a cloud-based model that works with software versions of their technology. However, broadcasters are an inherently conservative lot and are treating manufacturers’ claims with scepticism. Playout technologies have been software-based for some time. Graphics, subtitling, video and audio processing, among other functions, can be managed in software, often bundled together as a channel-in-a-box (CiaB). The next step is to port the software to work on virtualised servers (IT hardware that may or may not sit on the broadcaster’s premises) to take advantage of the power and scale of networked computing – otherwise known as the cloud. However, developing software from products that previously relied on fixed hardware configurations is not always straightforward when dealing with a less familiar IT environment. For example, a channel’s audio standard may be Dolby Digital, in which case the playout technology needs to integrate Dolby software encoders. It may need to add audio profiling to manage different languages or tracks for stereo and 5.1 sound, or audio watermarking for audience measurement. All of which adds to the complexity. Some of the confusion arises from different views on what the cloud means. Research by media technology firm SAM (Snell Advanced Media) suggests there is a split between broadcasters investigating private data centres, sometimes located in the basement, and those that are evaluating public cloud providers like Amazon and Microsoft. Pebble Beach Systems sales director Tom Gittins says that use of the public cloud raises issues around service level agreements (SLA), which service providers have to comply with but which may not coincide with the terms their customer demands. “For this reason, we are seeing a degree of reluctance among service providers towards hosting services in a public cloud. That said, things are changing, with meaningful discussions currently under way for the public cloud to be used to host temporary channels,” he says. Broadcasters have already begun to free themselves from owning and maintaining physical infrastructure by outsourcing playout to service providers. Both parties can now go a step further, using the economies of scale to create networked computing resources that rent capacity, saving on staffing costs. The budget for launching a new channel over IP can be recalculated from several millions of pounds to a few hundred thousand. A key business opportunity afforded by the cloud is the ability to launch and close channels in a matter of minutes, rather than months. Provided the channel is templated and the technology pre-integrated and tested, the process is said to be as simple as writing an email. “Cloud-based operation completely rewrites the financial model for broadcasters, allowing them to introduce pop-up channels aligned to specific events or regions, or special-interest supplementary programme feeds, quickly and without demanding up-front capital,” says Don Ash, president of PlayBox Technology. While broadcasters may defer the risk of transferring their primary channels to the cloud, they are likely to experiment with this type of application first. Other first-mover applications include disaster recovery (DR), in which channel operations are mirrored on remote data centres in case of main equipment failure. The type of channel also has a bearing. “For now, the cloud is better suited to ‘simple’ static channels, where schedules are typically locked down well in advance of playout, or updated once a day, with all media derived from clips and with relatively simple graphics and branding,” says Gittins. By contrast, national channels running 24/7 with live events, live voiceover and real-time graphics require far greater operator involvement. The fewer the moving parts, the easier it is to set an IP stream in motion. Moving to 4K/UHD is of another order entirely. The increase in data requires significant computing power using dedicated GPUs as opposed to CPUs. “The majority of graphics on air now can be done with standard data centre hardware but when you go to 4K, that would require specialised architecture,” says Mendoza. Over time, the cost will fall and the performance will improve, as will the performance of HEVC software codecs for compressing UHD. But for now, publishing 4K from the cloud is challenging for VoD – though not impossible, as Netflix shows. The move to cloud playout is accepted as inevitable; it is the timing of the investment that is at issue, and it’s an area that Grass Valley is keen to exploit. Its Stratus solution locates control and monitoring in Microsoft Azure but the playout of clips outside the cloud, at the edge of the internet. The output is SDI, not IP. Imagine’s customers are doing “due diligence”, according to Mendoza, “looking very closely at every vendor to see who can provide the overall solution”. 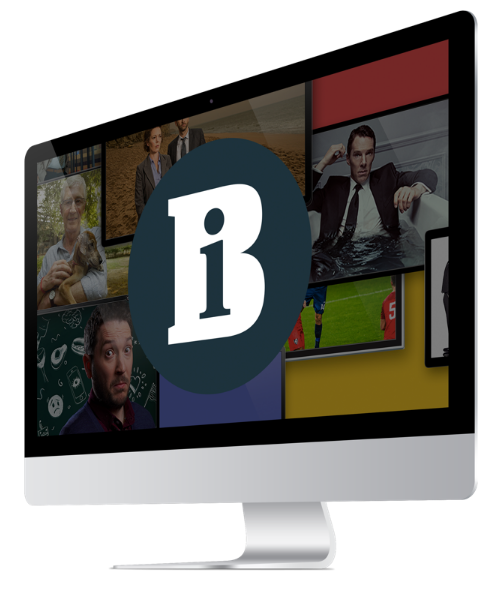 But no major UK broadcaster has yet taken its channels into IP playout. There are questions around which IP streaming format – SMPTE 2022-6, H.264 or VC2 – to use and how those streams will be decoded and tested if broadcast engineers don’t have the tools or knowledge. In particular, there are questions surrounding live feeds, where the latency of cloud solutions has not been ironed out. Multi-vendor collaborations, notably the EBU-sponsored Sandbox+ experiment, are testing the means to produce and transmit live studio programming over IP with zero tolerance. Australian PSB Special Broadcasting Service (SBS) has outsourced playout for its World Movies and NITV channels to Deluxe’s MediaCloud. Deluxe took control of SBS’s operation in January and transferred 58 SBS staff to Deluxe. A further channel will be launched on the platform later this year, while SBS1 and SBS2 will migrate in April. “The channels being delivered for SBS contain live events, multiple regions and time zones, dynamic graphics and must be on air in excess of 99.99%,” says Tom Holmes, sales and marketing director at Deluxe MediaCloud. Main control and management of the channels is from Deluxe’s Sydney facility. Control of DR can be provided via any of its global operations centres. The service extends beyond playout, incorporating media traffic and management, network contribution and distribution, and support. The technology supporting the solution comprises orchestration and asset management tool Portal; PortalLive for management of contribution and delivery; and playout automation delivered through Deluxe partner Cinegy. Amsterdam-based DMC is in the process of offering IP-based playout services to some of its client video distributors and content owners. After evaluating several vendors, DMC awarded the contract to Pebble Beach Systems to supply it with a new Orca system. According to the vendor, Orca features the equivalent functionality in software for tasks such as video processing, graphics and subtitling, which were previously handled by individually wired systems. Pebble Beach’s Marina automation controls the channels that will be played out on virtual machines in a private cloud. The implementation deploys standard IT hardware, sourced and maintained by DMC. The UK is way behind Germany when it comes to properly securing assets in the cloud, says IT security survey.